It doesn’t seem two minutes since I last put a photograph of Paris on here, to acknowledge the Charlie Hebdo massacre. Within the same year, we see an even worse atrocity. I have been to Paris several times, with lovers and friends. Maybe I should go alone one day, like Hemingway, and find my way and meet new people there; but then, maybe my time for that has passed and that's one for others to try. Paris doesn’t need me to say what an amazing city it is, and to say anything about what has just happened seems trite and irrelevant, so I will just leave you with this photograph of Paris in happier times. 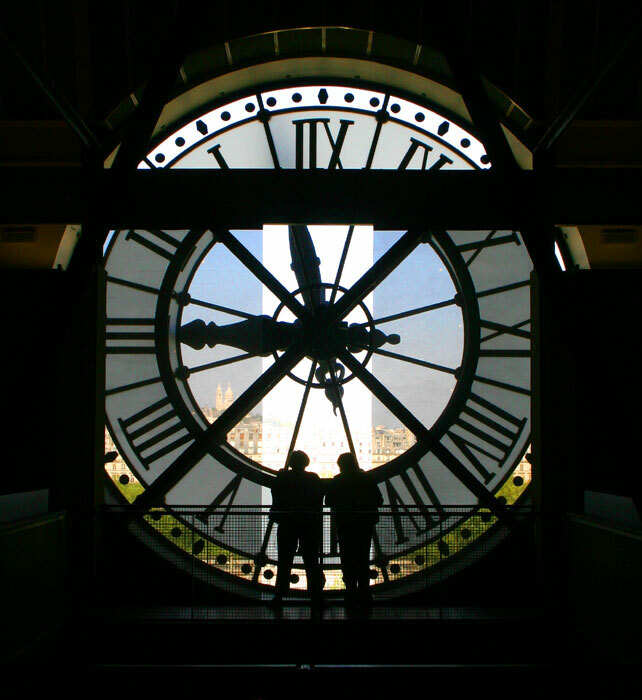 It is the big, transparent clock in the d’Orsay Museum. It is a fantastic vantage point: you can stand ‘in’ the clock and view the city. Amongst the things you can see across the rooftops is Sacre Coeur; just visible on the left of this shot. And the museum itself is a wonder, with some of the most famous Impressionist and Post-Impressionist paintings of all in its collection. I’m particularly fond of the Toulouse Lautrecs. Though over 100 years old, full of verve and humanity, they look like they were painted yesterday.